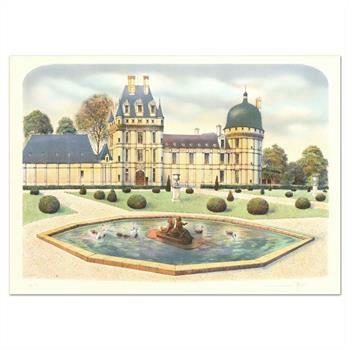 Rolf Rafflewski, "Chateau de Valencay" Limited Edition Lithograph, Numbered and Hand Signed. 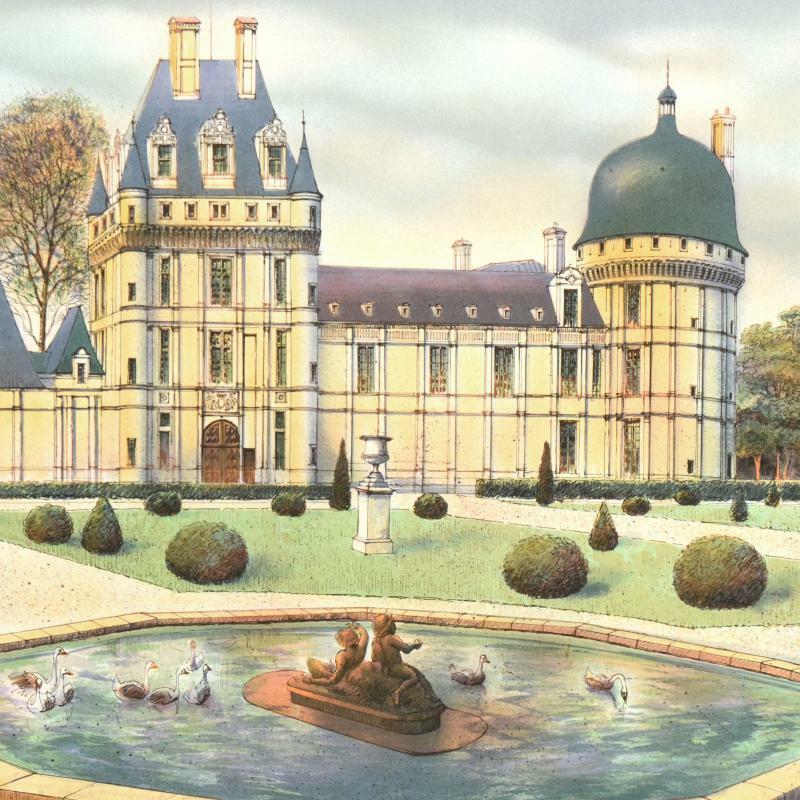 "Chateau de Valencay" is a limited edition lithograph on paper by Rolf Rafflewski, numbered and hand signed by the artist! Measures approx. 29.5" x 21" (border). 27" x 19" (image). 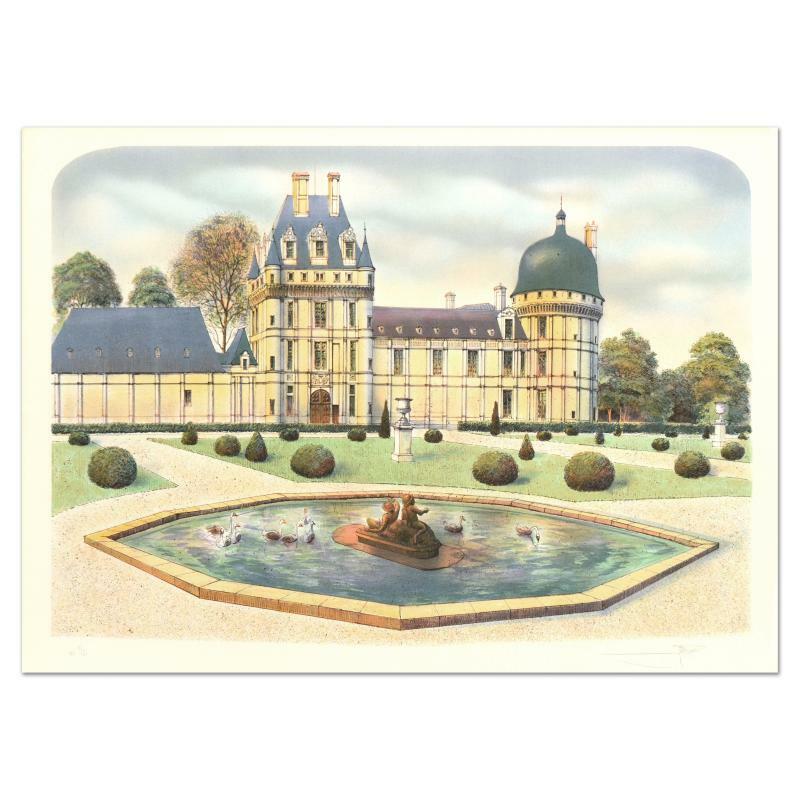 Born in Hanau am Main, Germany, in 1943, Rolf Rafflewski started to paint at the age of 12. His first solo show was held only four years later. Once he completed his art studies at the Staatliche Zeichenakademie in 1961, Rafflewski visited Paris and after falling in love with the city, moved there to make it his new home. The stunning boulevards, lively quais and winding streets of Montmartre, gave him the insperation and the subject matter for many of his paintings and lithographs. Over the past twenty years Rafflewski has exhibited actively in galleries and museums all over the globe including San Francisco, Washington, Tokyo, Hawaii, Paris and New York including a show at the Bibliotheque Nationale in Paris where he was honored with a one-person exhibit.